The Mexico Volcanoes of Ixtaccihuatl (17,159′) and Pico de Orizaba (18,696′) offer an exciting trip for individuals seeking the challenges of climbing at moderate altitude amidst an interesting cultural backdrop. 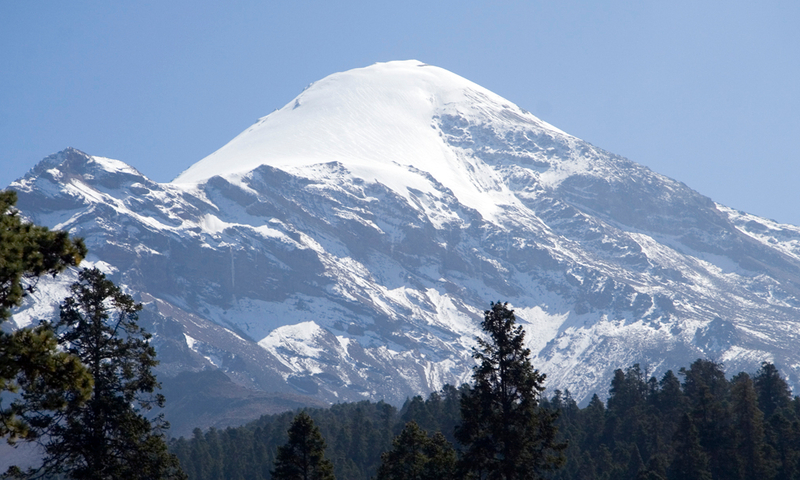 Pico de Orizaba is the third highest peak in North America. It is an excellent spot for learning climbing skills, and gaining experience with climbing at altitude. All of our guides are also professional instructors who genuinely enjoy sharing their knowledge! Our trip begins in Mexico City. We spend the first days acclimatizing with a series of scenic hikes in the highlands near the volcanoes Ixtaccihuatl and Popocatepetl. 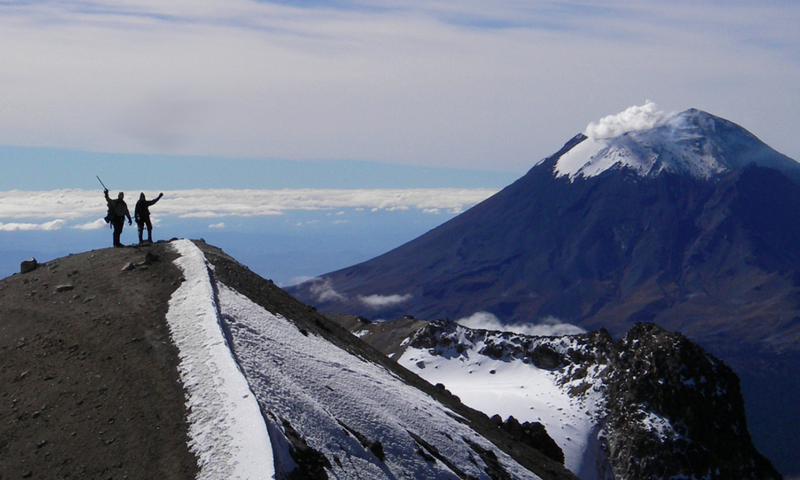 Ixta is our first climbing objective and provides a good warm up for our second climb, Pico De Orizaba. 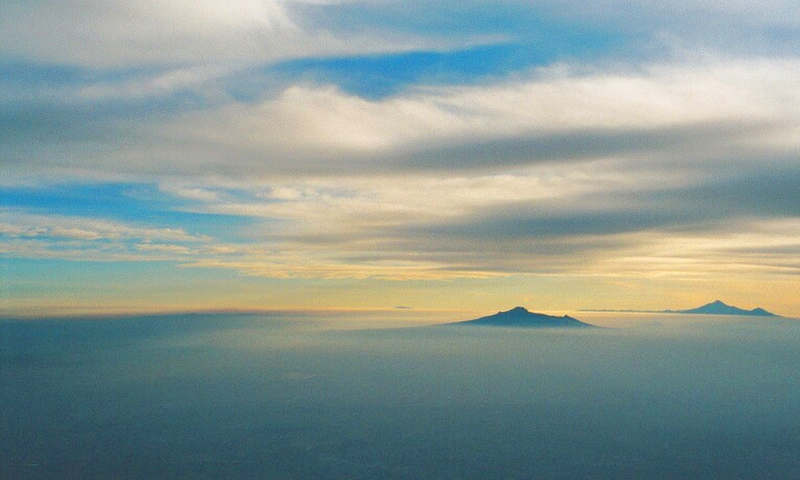 At 18,696 ft. Orizaba is the highest point in Mexico. It has fantastic climbing on several different routes. Don’t forget your camera, the views of the countryside far below as the sun is rising are incredible! We’ll plan a stop at the Teotihuacan Pyramids on our way back to Mexico City to explore some of the countries fascinating Aztec history. This trip has a variety of great experiences in a short period of time. The special combination of good weather, spectacular climbing and views, and interesting culture make the Volcanoes of Mexico a unique climbing destination! Please contact us if you have any questions, or if we can provide you with any additional information. MEXICO CITY: Our trip begins in Mexico City. Typically we stay near the city center the historic Zocalo. The bustling city offers opportunity for cultural exploration, shopping and historical sightseeing. AMECAMECA: The first town we will visit. We’ll have time to explore the colorful market here on our way to the volcano Iztaccihuatl. VOLCANO IXTACCIHUATL: Day hiking on the mountain will help us to acclimatize for our first climb. We typically camp lower on the mountain and work our way over several days. Specific route selection may vary depending on conditions. VOLCANO POPOCATEPETL: Popo is currently in an active phase and not open to climbing. But if offers a stunning backdrop to our climb on Izta. TLACHICHUCA: An culturally rich small town at the base of Pico De Orizaba offers a unique taste of small town Mexico. ORIZABA HUT: We’ll take jeeps up to the scenic hut on Orizaba. The hut has beautiful views of the surrounding country and valleys below. VOLCANO ORIZABA CLIMB: At 18,696 ft. Pico de Orizaba has spectacular climbing on routes that are steeper, and longer than routes on Ixta. 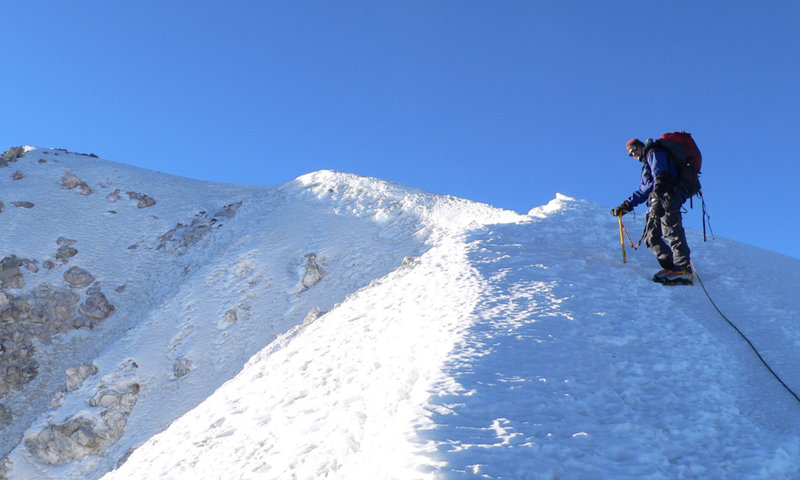 Orizaba is also a fantastic spot for practicing new mountaineering skills. This is an outstanding finish to our climbing trip in Mexico! TEOTIHUACAN PYRAMIDS: We will spend the day at the pyramids exploring Mexico’s intriguing Aztec history on our way back to Mexico City. THE MOUNTAINS: Our primary climbing objectives are Ixta, our first climbing objective which provides a good warm up for our second climb, Pico De Orizaba. At 18,696 ft. Orizaba is the highest point in Mexico. It has fantastic climbing on several different routes. Don’t forget your camera, the views of the countryside far below as the sun is rising are incredible! We’ll plan a stop at the Teotihuacan Pyramids on our way back to Mexico City to explore some of the countries fascinating Aztec history. OUR GUIDES:Mountain Guides International instructors and guides are professionals. They bring a wealth of experience from guiding throughout Alaska and the world, and they genuinely enjoy sharing their knowledge. Their skill and experience insure our guests the best possible experience during their trip. Your safety and enjoyment are their primary goals. Over the course of 10 days we’ll explore everything from the heights of Mexico’s volcanic peaks to the wonders of Mexico City. Our itinerary has been carefully crafted from years of experience and allows time for guests to acclimatize to changes in altitude. We budget an extra contingency day in the mountains to allow extra time for acclimatization or in the event we encounter bad weather. 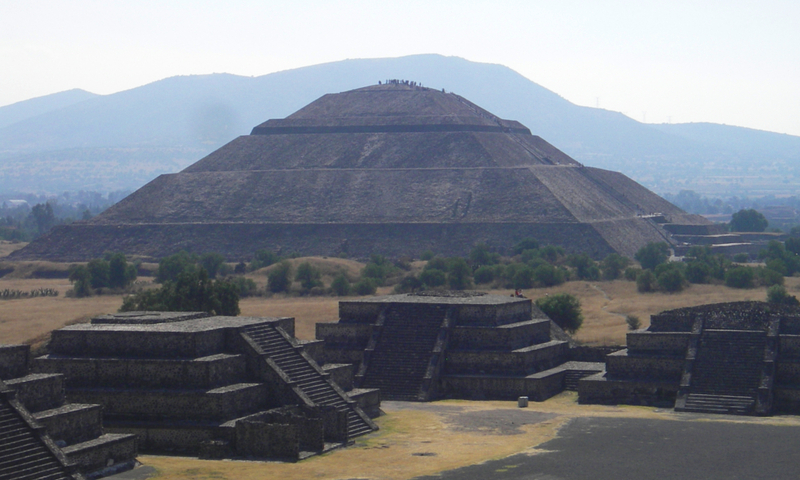 If this extra contingency day isn’t used on the mountains we’ll explore the Teotihuacan Pyramids, exploring Mexico’s intriguing Aztecan history. Day 1: Mexico City is an exciting and culturally rich destination that holds the title as one of the largest cities in the world. It is at an elevation of 7,000ft and a great place to begin our acclimatization process. 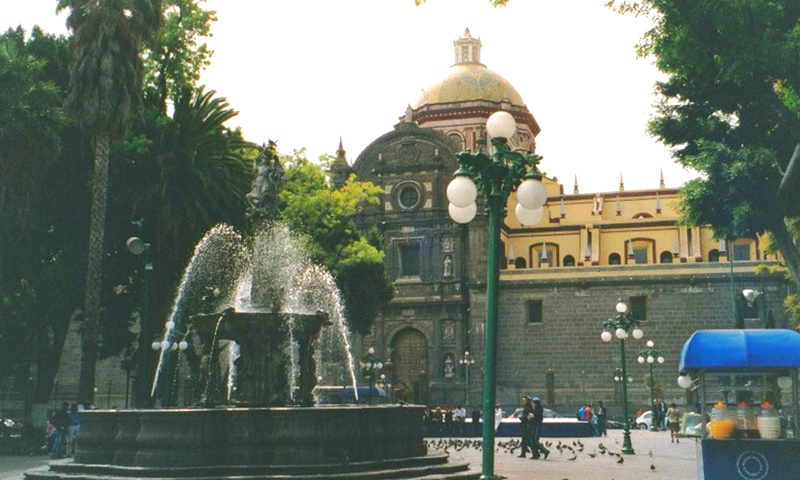 The Hotel Catedral is our starting point which is located near the Zocalo; Mexico City’s historic district. The first day in Mexico city allows us to explore the myriad of museums and cultural sites the city has to offer. We will reconvene at 6pm for our pre-trip meeting where we will discuss trip itinerary, personal expectations, and do an equipment check. Amecameca at 8,000ft for a good night sleep in a simple hotel. afternoon we go for another acclimation hike and explore the valleys at the foot of the mountain. provides an excellent staging point for our summit attempt the following morning. early morning ascent, we hike back down to our base camp in the valley. allow some time to relax and shower at the hotel. Day 7:The 4X4 drive up to Pico de Orizaba ends at Piedra Grande, a stone hut at 13,800ft. After dinner we will prepare for our early morning summit attempt. back down to the town of Tlachichuca where we will spend the night. important for accommodating changing individual and group needs. Day 10: Return to Mexico City. How much weight will I need to carry? You should prepare to carry up to 45 – 50 lbs, on summit days we’ll lighten loads and carry only the essentials in daypacks. Your guides will carry first aid kits, satellite phones, rescue equipment, and other essential gear. What is the highest altitude we’ll sleep at during the trip? On Iztaccíhuatl we will spend one night at 15,400ft. 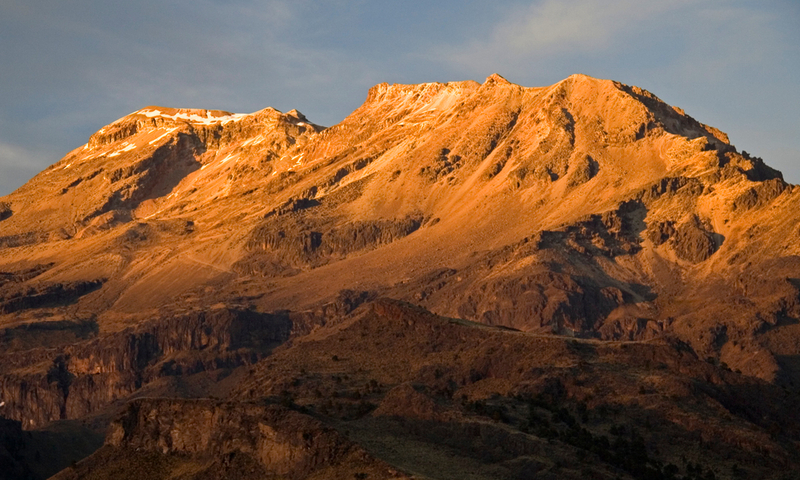 Otherwise our camps will be located at 12,800ft on Iztacciuatl and 13,800ft on Orizaba. How Hard is this trip? Most fit people find Iztaccíhuatl relatively easy, while on the other hand Pico de Orizaba is often considered more challenging. 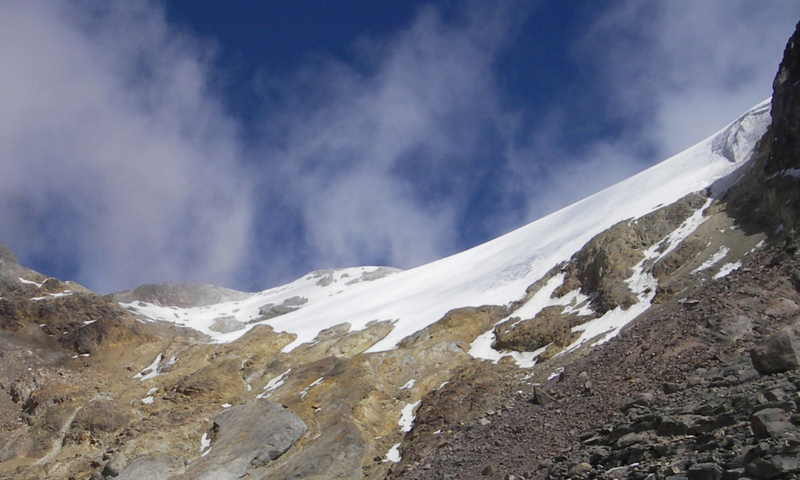 The summit day on Orizaba can be up to 14 hours in length and is physically demanding. With proper conditioning and good training it is well within the limits of most beginner climbers. And as always the better shape you are in the more enjoyable the climb will be. climb. The weather during the period is typically very stable and most days are sunny and warm. desk staff speak English well. Inside the hotel is a very nice restaurant and bar with good local food. For a complete look at our Frequently Asked Questions, click here. Equipment List – Mountaineering – Overview of personal clothing and equipment that you’ll need for this trip. Activity Waiver – One required per participant over the age of 18. Travel Info – Helpful information on how to get to/from Mexico City. The guide team did an outstanding job from start to finish. In addition to his excellent mountaineering skills, Josh displayed very impressive qualities as far as organization, improvisation and motivation were concerned. I felt as safe and comfortable in his company as I think anyone can ever hope to feel at high altitude.